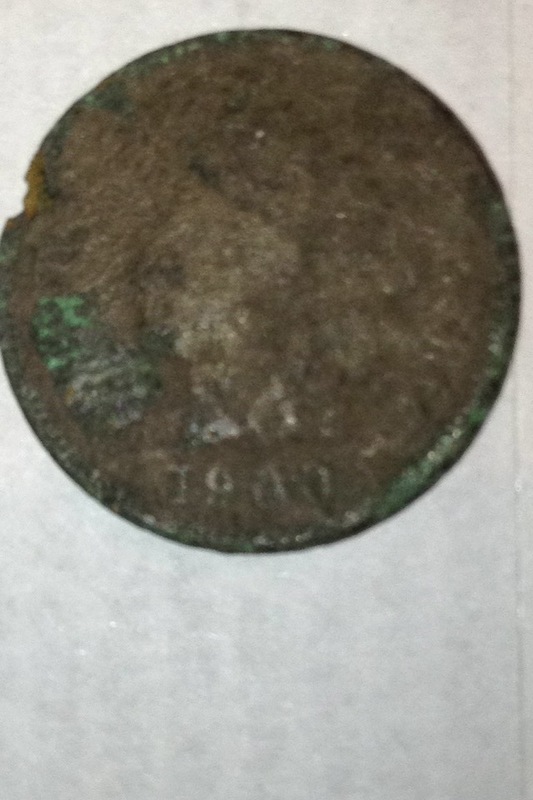 Tonight I want to write about what may be the most fun part of metal detecting. A couple weeks ago I stopped by a very well maintained farm home that appeared to be from the turn of the century. I made my way to the front door. I knocked a couple of times but nobody answered. As I turned to leave I noticed that there was a herding dog that had snuck up behind me. I have had several herding dogs and they come with one personality trait that everyone should know about. They rarely attack from the front. They will wait until you turn your back to them and then immediately try to get on your heels. Knowing this I lowered down to the dogs level and showed it that I wasn’t scared and that I wasn’t there to hurt anything. The dog didn’t want to be warm and friendly but the growling did cease. I progressed to the truck without incident. Once I got home I started doing some research on the homestead and the home was built in 1908. Tonight while driving by I noticed a car in the drive and a couple of lights on. I had to stop and see about detecting around the property. I had a very pleasent conversation with the lady that lives in the home and two young kiddos. Come to find out the home has been in the family since it was built. We discussed the possibilities of a shadow box showing the relics I find. I think this is such a cool aspect of detecting around old farmsteads. In the end she needed to discuss it with her father-in-law about having me metal detecting the property. I hope that the opportunity comes to fruition because these are my favorite types of places to hunt. It is always fun to see the smile on the face of someone who hasn’t seen a forgotten relic that was lost years before. I also like the way the finds from these places take us back to the simpler life of years ago. Hope to be happy hunting soon! 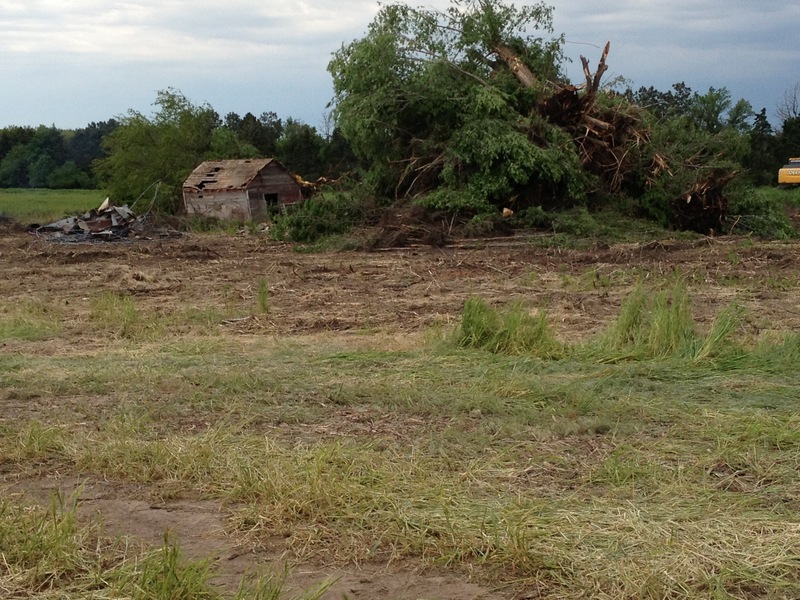 A couple days ago on the way home I noticed a backhoe and excavator in a field. An excavating company had a truck sitting there. Nobody was in it so I left a card and then proceeded to call them. During our conversation he mentioned they had torn a house down. He also said that I could metal detect around the property. After doing some research I learned that the house was there in 1938. This morning I got to the site and quickly knew it would be a challenge. Most the grass is 2-2/12 feet tall. The only places I could hunt were the areas that an excavator had scraped off a couple inches of top soil. The finds were not very impressive but something tells me that it’s there, I just couldn’t get to it today. Yesterday I had a thought about plugs and how we dig them. I use a shovel and I can cut a 6-8″ U-shape plug that I can place back in the hole nicely. Then yesterday as I was replacing a plug I thought about planting flowers in the past. They always recommend loosening the soil and roots. I have never done this while detecting. Going forward I am going to make sure I have loose soil in the bottom of the hole as well as roots that aren’t bound up. Hopefully this makes the healing process easier on the grass especially in the summer when things start drying out! Not much to say except while venturing around the field this morning I found my first two of the year. I will stick to the short grass and non wooded areas as much as possible for awhile! Well tonight I want to write about mixed emotions on a couple different levels. Our Foreign exchange student is leaving in the morning. I can say that she will be missed dearly. Our year has gone very well. I love having a student from another country living with us. The departure is always emotional. Tonight I was asking her a few questions and I told her that I would love to see her parents face when they see her for the first time in 9 months. With sadness comes happiness I suppose. We have decided to not have an exchange student for the next couple of years. I will miss the experience but after having 5 students in 5 years our family feels like we need a break. Since being in a silver slump I am thinking very seriously about a detector upgrade. This doesn’t mean that I don’t love my Ace250 though. I think there are a few things that are causing my slump. A: Research- I firmly believe that a site is never hunted out. That being said I think a site can be hunted out to the operator and machine capabilities. I have a few sites that I have hunted for over 40 hours. This means walking over the same 100 sq. ft of ground many, many times. I need to find more good sites that fit me and my machine. B: Keep them separated- I think the biggest issue I’m running into is target separation. It is common knowledge that the Ace Series of detectors doesn’t have a super fast recovery time. This is why I put the 8 x 11 DD coil on my Ace. It made a world of difference. This is emotional because as I have mentioned before I love my little Ace 250. I told PulltabMiner the other day that I will never be without it. C: I don’t want to be too Stout- I have been reading Mr. Stouts Blog for quite sometime. I can imagine that I will feel as he has mentioned about his detectors. He recently purchased a White’s 6000di Series 2 detector. Not because it has all the bells or whistles but simply because that model had a soft spot in his heart. He has mentioned also that he doesn’t want to learn a new machine which I totally understand. I have found many goodies with my Ace but I also think it would be fun to learn a new machine. I can understand both sides of the fence which leaves me with Mixed Emotions. I spent about two hours on this property and dug 9 wheat pennies of various ages. I am sad to report that I didn’t find any silver. In fact I haven’t found silver in a month. It’s my longest slump since beginning in the hobby. Hopefully it will end soon! I feel this is worth re-blogging. Hopefully the idea catches on around the city! Well today at lunch I returned to the empty lot that I recently pulled 5 wheats from. As is becoming the norm I didn’t find any keepers. Tonight I decided to get out in the beautiful weather and hunt. I quickly decided to try and find some new sites. I stopped by one property and the property owner needed to run the idea of me detecting by her husband. After dropping a card off at a couple other properties I decided to hunt a farm field that I’m certain holds my first seated coin. It is a farmfield that held a school house between the early 1880’s and the 1920’s. I have hunted this field a couple times without finding anything. Tonight I hunted a different little section for an hour or so and didn’t find anything. As I was walking back towards the truck I got a decent signal 6″ down. The thing that caught my attention about this signal was the fact that it was consistent after turning 90 degrees to it. As I dug my first plug I noticed a coin impression in the thick clay. I quickly found a coin in the sidewall of the hole. I was hoping for a barber or seated but this coin wasn’t shiny. I could quickly tell it was copper. The wreath on the reverse of the coin told me it was an Indian. It was just dusk enough that I couldn’t see a date on it. I swung a few more minutes and headed home. When I got it home I cleaned it with water just enough to get a date off of it. It turned out to be a 1900. I cannot figure out for the life of me why I’m missing the silver. Lately I have been second guessing the capabilities of the little “beginners detector” my Ace 250. I have been thinking more and more about upgrading. However everytime I think it’s time the Ace finds me something that makes me think to myself. Why upgrade? This indian rang up as a penny with a sweet belltone. I have dug many silvers that would sound the exact same. 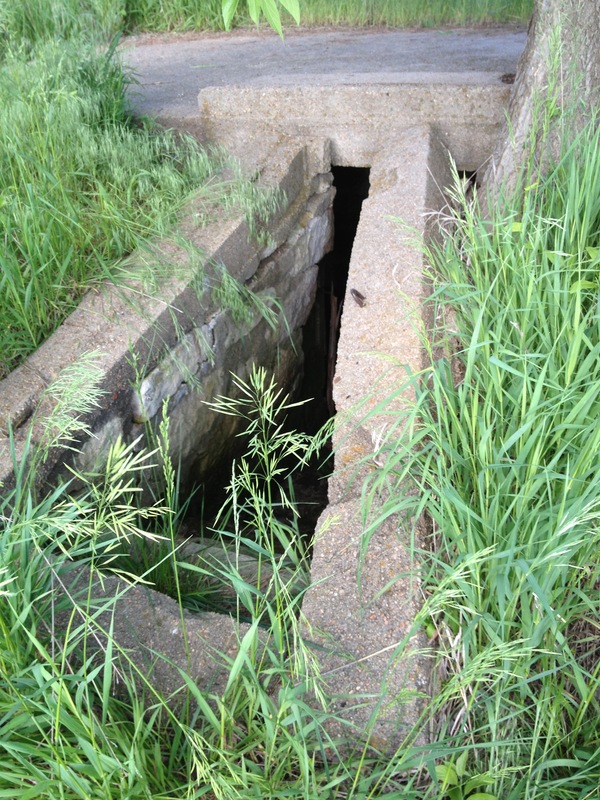 I will continue to hunt this property because I am convinced there are more goodies there. Hopefully, they have the scientific symbol AG. Just a reminder that we will be meeting Wednesday night the 15th in North Linwood Park at 6:00 PM for our “Step Up Clean Up” initiative. I will have everyone’s T-shirts and I hope to see everyone out there. 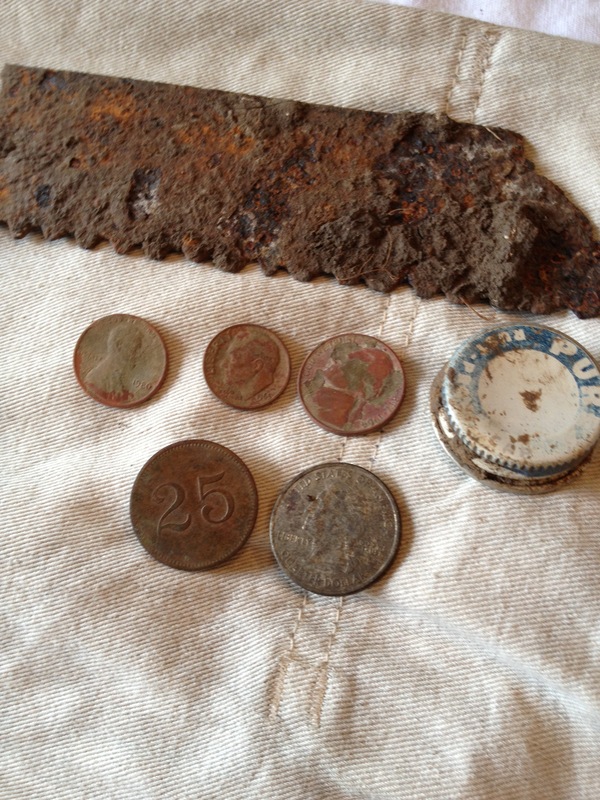 Yesterday the youngest Ukena boy and I got out with a couple members from Wheat State Treasure Hunters. 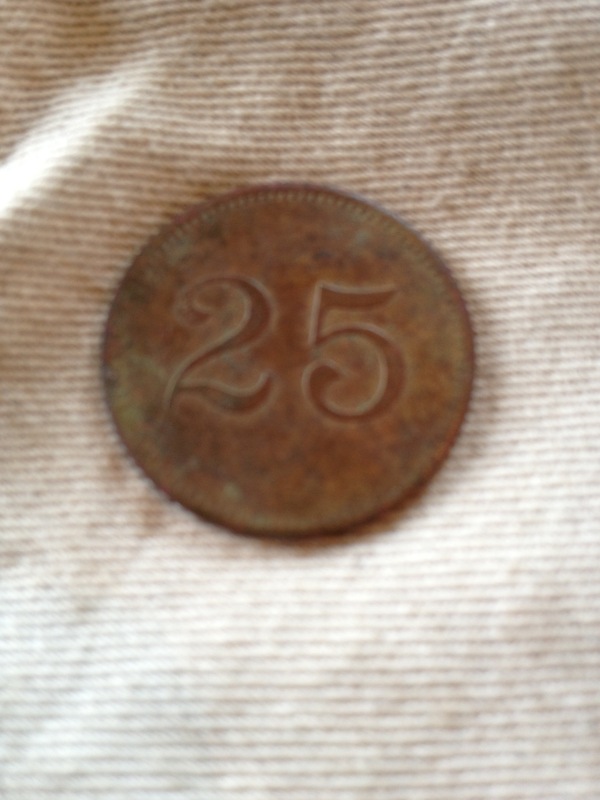 We were detecting in a park that has produced all kinds of old coins and isn’t very trashy. My day was slow. I was hunting slowly and methodically. I ended up digging clad, pulltabs, and a bunch of bottle caps. Generally I can tell the difference between a coin and bottle cap due to the sharp iron drop off on bottle caps. Not yesterday though, they sounded sweet! In the end we had a good time with good people? And that is worth more than how impressive the finds are. Where there is wheat there is…. Well, tonight I want to write on my newest frustration. I have been hunting some pretty good sites and the silver is eluding me. 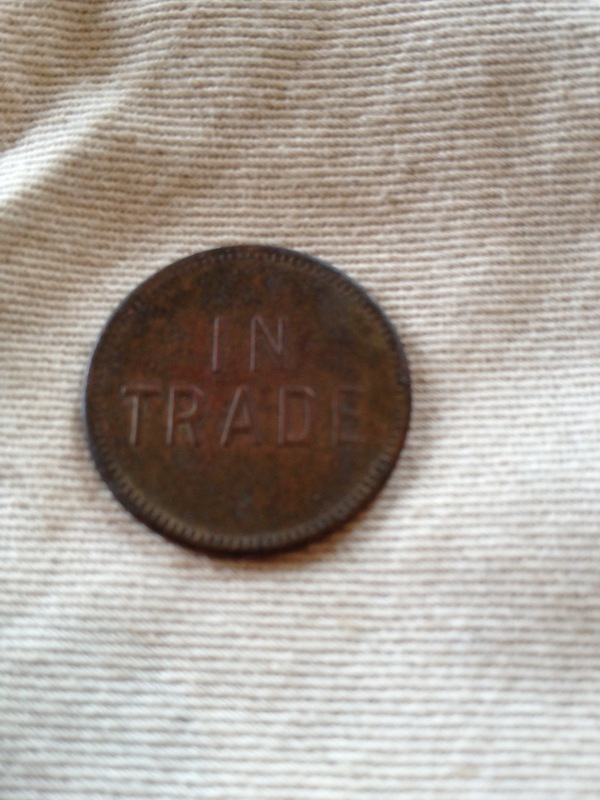 I have dug 10 wheats and 2 Indian pennies in the last week or so. These coins range from 1905-1958.. I’m not complaining because I love the Indian Head pennies. My mind goes back to a lunch hunt I had with Pulltab Miner when I had just started detecting. We were hunting an older park in Wichita and I had the privelege of seeing him dig an Indian Head. I was quickly amazed because I had never seen one before. I now love seeing the wreaths on the back of a copper coin. Now, I have heard many people say that where there are wheat pennies there is silver. I completely agree with them but I sure wish I could prove it to myself. I know that everyone goes through slumps but man there are a few coins on my wish list for the year and I think I am in the right places to find them. Patience will pay off. I wanted everyone to know that I had a great time at our fist meeting. I look forward to see the group progresses in the future. I would like to say that I am having a little trouble getting a news source to cover our “stand up, clean up” initiative. If you happpen to know someone locally in the media please give them the clubs contact info.